If you are looking for something a bit different this Mother’s Day or for Easter, then www.skates.co.uk is worth a look. If you want to get a gift that will keep children and adults active, then the range of quad roller skates is perfect. Quad skates are designed with four wide wheels that are equally spaced apart which make learning how to skate really simple. They are the prefect option for younger children and for people who have never skated before. Quad skates usually come with 62mm wheels for a low, stable centre of gravity. Skates.co.uk have a wonderful range of quad skates in many colours and designs so you can find the perfect pair for a loved one. If you are looking for an Easter gift for a child that is different from the usual chocolate gifts, skates.co.uk have a brilliant range. 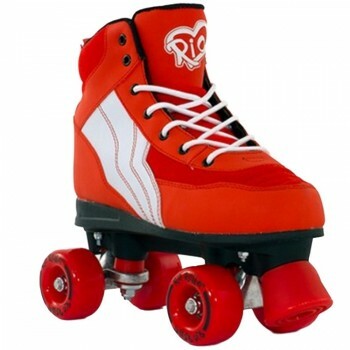 One pair of quad skates that would be perfect are the Rio Retro Roller Skates. These are a semi-soft quad skate with PVC leather construction. They also have a PUI stopper with easily replaceable bolts. These skates are perfect for anyone who is a beginner to roller skating and are available in 2 striking colours; vibrant red and brilliant white and fuchsia pink. They are available in sizes UK12 – UK8. The RRP starts from £49.95 and come with free stickers and wristband. Skates.co.uk also have a wonderful range of adult skates that active mums would love to receive this Mother’s Day. Included in this range are the Black Rookie Classic roller skates. These skates embody the 1970s and have a timeless design which channels that classic figure skating look. They have a padded PVC boot and have a nonslip rubber sponge lined tongue. They are available in sizes UK4-UK12 and the RRP starts from £79.95. To find the perfect pair of skates for a loved one for Mother’s Day or Easter have a look at the full range of skates at www.skates.co.uk.